Neelkanth Woods: Live a highly energised life with superb facilities in an urban blissful oasis! 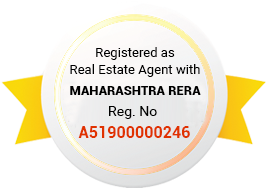 Neelkanth Woods by T Bhimjyani Realty is a great attempt to create harmonious, responsible and comfortable residential apartments in the city of Mumbai. The developers are bringing up this stylish project in Manpada, Thane, in Mumbai. The area is well connected with transport corridors and has a number of suave modern facilities in the neighbourhood, thus making it an ideal location for a fulfilling living. The campus of Neelkanth Woods Mumbai is quite well planned, and you will feel energised as you step in! There are luscious green spaces covering open ground here. To top it all, the developers have carved out an observation deck right on the top level for a grand view. The apartments here are available in many formats. These include 2.5, 3 and 3.5 BHK sets. The apartments have efficient layouts and a classy finish. The living and dining rooms have imported marble flooring and the rest of the house has classy vitrified tiles. Granite top at the kitchen adds to the chic look in the kitchen with shiny stainless steel sink. All in all, it’s a modern and luxurious private space that you can call your own! The Neelkanth Woods price ranges between Rs. 1.99 Cr to 3.20 Cr. The amenities that you get here are a total add-on value for money, besides the suave homes. There is dedicated Treatment and disposal of sewage and sullage water, Multi purpose hall with badminton court in common clubhouse, Common mini basket ball court, club house etc.. Kids have their own pool, there is a swimming pool, gym, multipurpose hall, Audio visul room and beautiful landscaped parks. The eco-friendly project has a sewage treatment plant, rain water harvesting and uses environment-friendly building materials. The Neelkanth Woods home can be booked by paying only 10% of the total cost. This is a wise choice to make your money grow as well as live in the stylish zone. A great potential for a good rental income is also on the cards here. Common Jacuzzi and Common Kids Pool . Distance to International Airport - 32 km. Distance to Domestic Airport - 29 km. 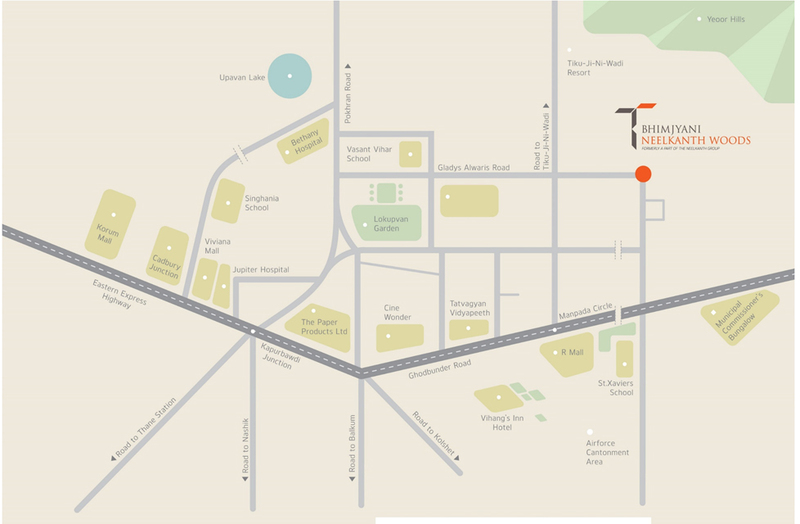 Easy access to BKC via Santacruze Chembur Link Road. Eastern Freeway Link Road Connecting South Mumbai to Ghatkopur and beyond. MMRDA has proposed a metro rail corridor for thane. Close proximity to Eastern Expressway Highway. Close proximity to LBS Marg.